Chromium is a mineral that your body requires in small amounts. It can be found in certain foods as well as in many supplements. Studies suggest that it is involved in normal carbohydrate and lipid metabolism. But that’s not all. There is a growing interest in the possible beneficial role of chromium in the treatment of diabetes. Chromium’s benefits were discovered by mistake when a patient receiving liquid nutrition developed severe signs of diabetes including weight loss and hyperglycemia (high sugar level), and increasing the doses of insulin didn’t seem to help. Previous animal and preliminary human studies seemed promising, so the patient was given supplemental chromium. Within two weeks, the symptoms disappeared. This prompted researchers to look further into this mineral. What does chromium have to do with diabetes? Chromium aids in the normal function of insulin. Insulin is a hormone that is released from the pancreas that is involved in controlling how your body uses carbs and fat from foods. It is also involved in allowing your body to use sugar for energy. People with diabetes either do not make enough insulin (Type I diabetes) or cannot properly use the insulin that their bodies make (Type 2 diabetes). As a result, sugar builds up in the bloodstream. Studies of chromium have suggested that it can be beneficial in reducing insulin resistance and improving blood sugar control, including possibly lowering blood sugar levels. Chromium deficiency may be a contributing factor for Type 2 diabetes. People with Type 2 diabetes tend to have lower levels of chromium in the blood, and tend to have higher urinary loss of chromium. For this reason, chromium deficiency has been hypothesized to be a contributing factor to the development of Type 2 diabetes. According to Mayo Clinic, “lack of chromium … may decrease the body's ability to use sugar properly.” And having diabetes may contribute to chromium deficiency. Though there have been several studies that gives us a window into how chromium affects diabetes, there are some conflicting results. Further studies should be done on how chromium affects diabetes. How much chromium do you generally need? According to the Food and Nutrition Board, the adequate intake for chromium for adult women is 20-25 mcg per day and for adult men is 30-35 mcg per day. Total body chromium is only about 4-6 mg and decreases with age. The body’s chromium content may be depleted under several conditions. According to the National Institutes of Health, “diets high in simple sugars (more than 35 percent of calories) can increase chromium excretion in the urine. Infection, acute exercise, pregnancy and lactation, and stress increase chromium losses and can lead to deficiency, especially if chromium intake is already low.” People with certain health conditions such as diabetes may require more chromium than others, but it’s best to consult your doctor. If you do not have diabetes, use caution, as some studies showed worse insulin resistance in non-diabetics taking chromium. 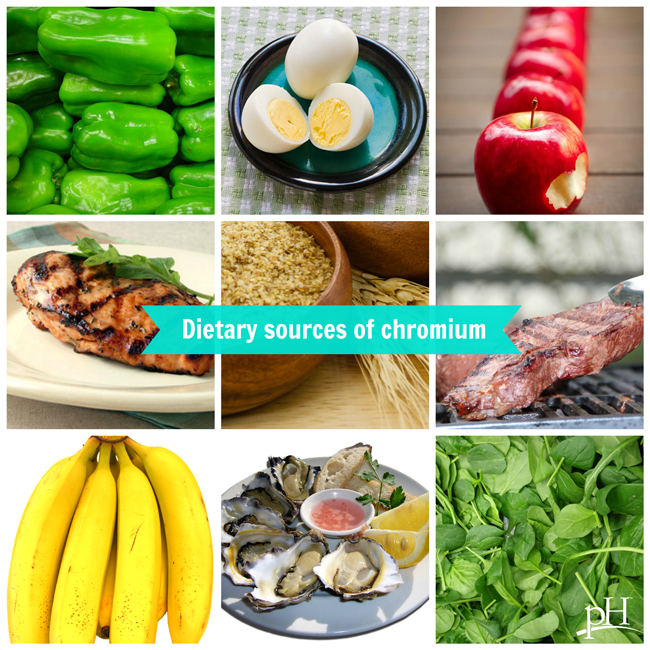 Consult with a doctor and consider nutritional testing to determine whether you should be supplementing with chromium.